In this free 7-day email course, you will learn how to start your own blog even if you're a complete newbie and don't understand blogging at all! Are you excited to step into blogging world? Learn all the baby steps you will need to create a blog. Understand a professional blogging platform, and other fundamentals to start a new adventure that can change your life! Get all my juicy tips and marketing strategies to promote your blog for FREE! Yes, totally free. Introduce your blog to a new audience and build relationship. I will share popular methods YOU can use as a new blogger and make money blogging! My tips will take you from hobby blogger to business blogger. Download a free strategic blogging book. It includes content creation, basics of SEO, social media strategies, blog commenting techniques and builds an email list. This is a 29-page book, packed with awesome tips for bloggers. Get access to my resource library and download all the amazing freebies there. Get a list of Pinterest group boards to join. List of popular Facebook groups for bloggers and small business owners. Download crazy blog traffic hacks! Download the free 18-point checklist to track all of your steps and get successful in creating a profitable blog from scratch. This checklist will help you perform all the steps with an ease. Thank you for enrolling in! 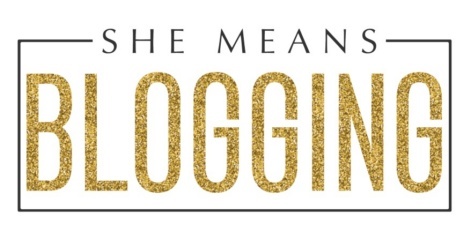 I'm so glad that you've finally decided to think about blogging and create a blog for yourself! Trust me, this FREE course will give you enough knowledge on the blogging subject. Now, just visit your inbox and confirm the email so that we can start our blogging course. If you'd like to join free facebook community, hit the button below.